2) Saw lots of these plain caps with tiny patch while I was in Seoul. Snag these styles now! Visit the Penshoppe Capital at the UP Town Center, Katipunan from February 10 to 12 for special discounts, freebies, and lots of cool activities. For the students, catch the Penshoppe Fashion Van around the Ateneo de Manila University, Miriam College, and other select colleges and universities. The most stylish students will win a makeover from Penshoppe's styling team, and will be featured on the brand's social media through #PenshoppePicks. 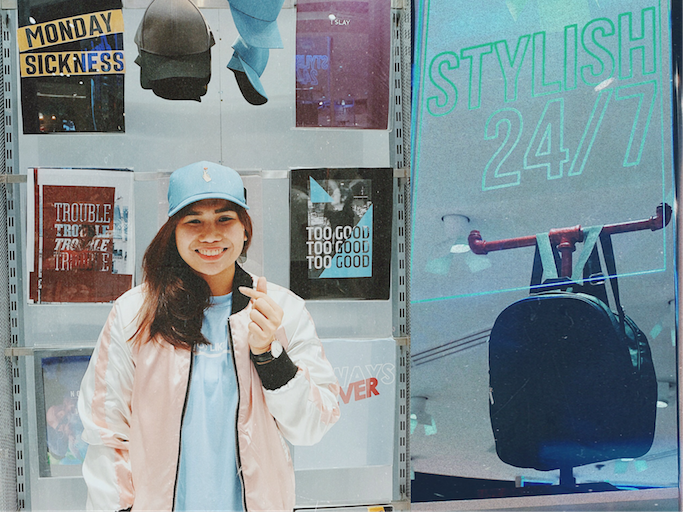 Excited to OOTD my #PenshoppePicks! Follow me @anagon on Instagram, and like PENSHOPPE for more updates! Thanks sis! Yey! :) See you soon!